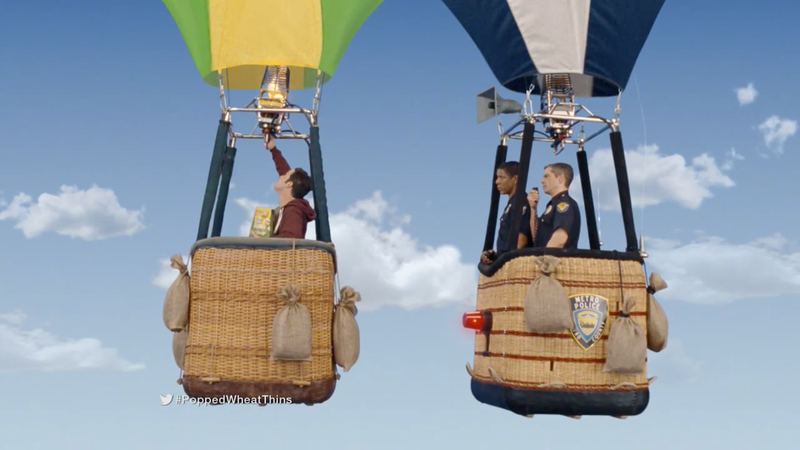 Wheat Thins revisits the golden age of ballooning in this weird spot from New York agency Being for the cracker brand's new air-popped snacks. Why they went with cops trying to pull someone over, I have no idea; the concept doesn't really need them, and neither does the visual gag they're setting up (being outpaced by a slow-moving bird). But I suppose the randomness is part of the charm. I suppose Wheat Thins probably should be a controlled substance, though. They taste too good to not be drugs somehow.